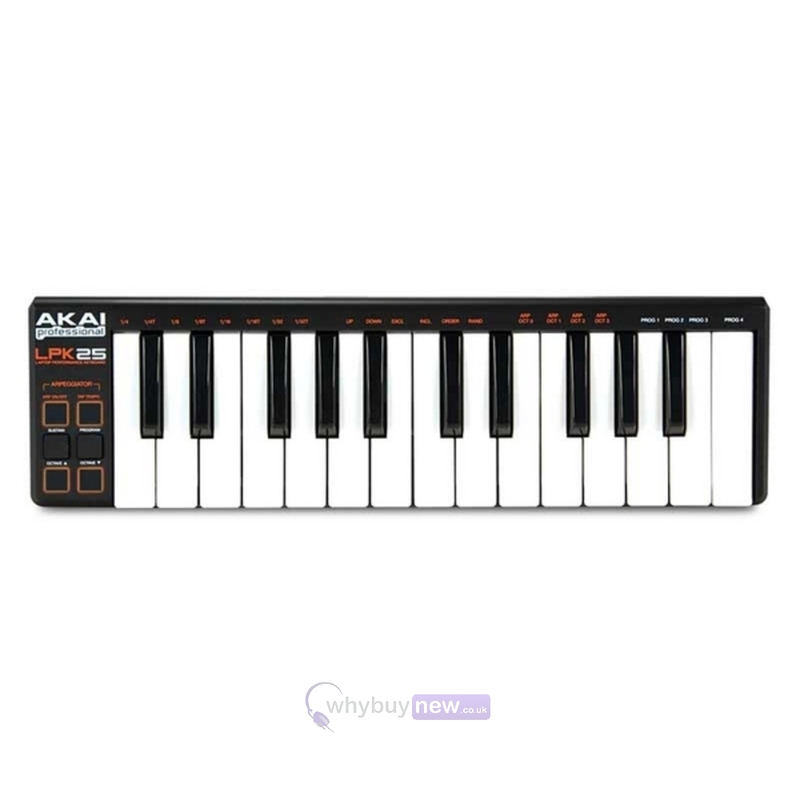 The Akai LPK25 Laptop Performance Keyboard MIDI Controller is a USB MIDI controller for musicians, producers, DJs and other music creators. Less than 13 inches across and weighs less than one pound to easily fit into a laptop case or backpack for extreme portability. 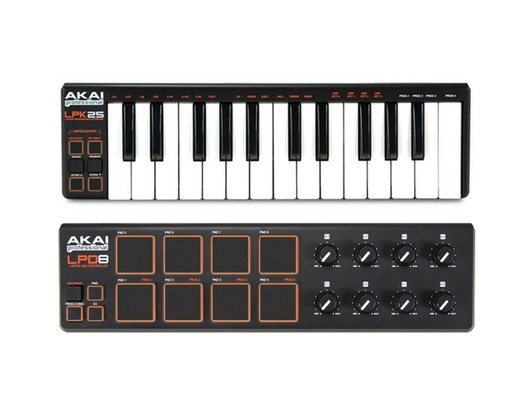 The Akai LPK25 is made up of 25 miniature, velocity-sensitive keyboard keys with synth action. The Akai LPK 25 contains an arpeggiator, which steps through chords automatically, assisting musicians with creating quick melodic ideas. Sustain, octave up and down and tap tempo controls round out the LPK25's easy-to-learn layout and features plug and play technology for both Mac and PC systems. No software driver installation or wall power is needed. 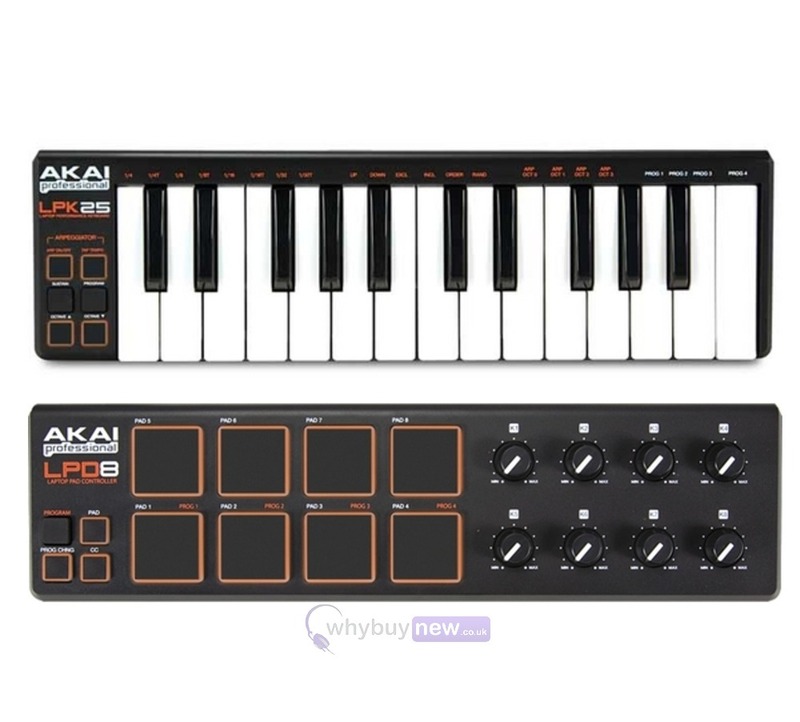 The Akai LPK25 has four memory banks for programming and recalling settings appropriate to different software programs they use. 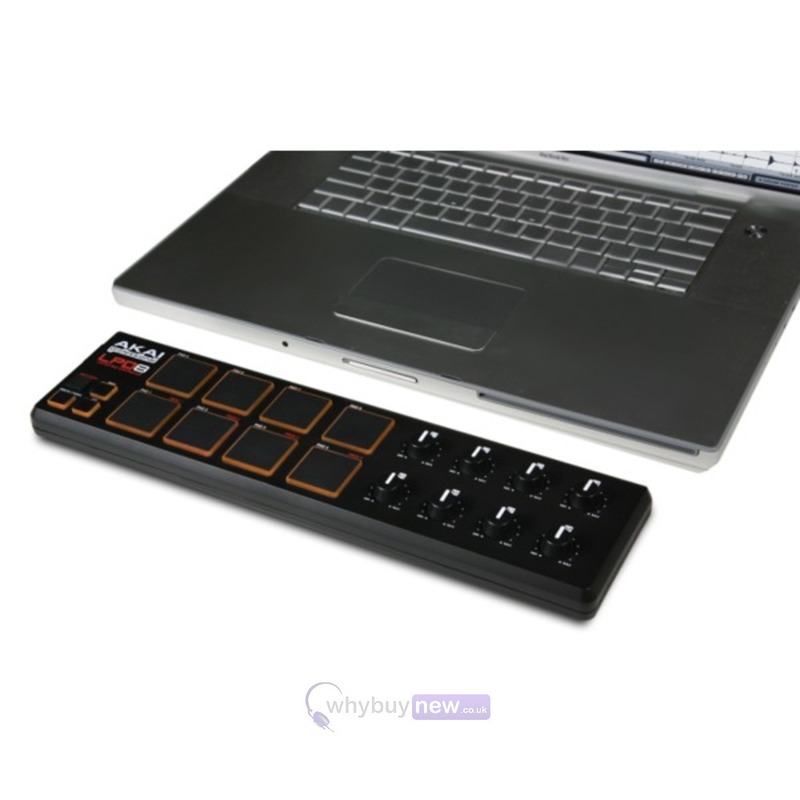 Ultra-portable MIDI-USB production controller pad. 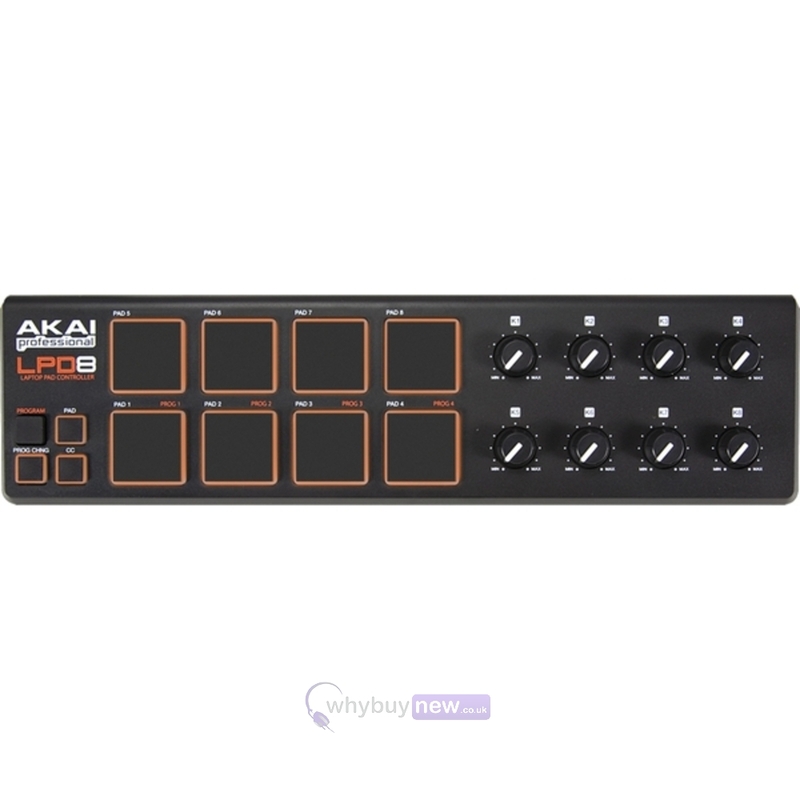 The LPD8 laptop pad controller is a USB-MIDI controller for musicians, producers, DJs and other music creators. It measures less than 13 inches across and weighs less than a pound to easily fit into a laptop case, backpack or messenger bag for extreme portability.